New build 5 storey development of 14 apartments using Glulam timber as the structure and finished fabric. 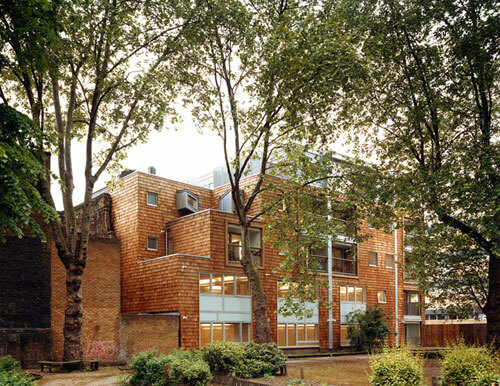 The scheme was highly sustainable with very low embodied energy. The whole process was designed and prefabricated off site and the building was put up in six weeks prior to internal fitout works. As seen on ITV London Tonight News 12th June 2007.